With any luck if you're a follower of Cheese and Biscuits you should find enough to entertain you in the above. It's more of the same, for better or worse. I like to think I can put up with a great deal of discomfort in the pursuit of good food - noise, queues, darkness, annoying useless hand dryers instead of paper towels - but if there's one thing guaranteed to ruin my evening it's the dreaded phrase "communal seating". I don't care how many people you think it's necessary to shoehorn into your shoebox of a restaurant in order to turn a profit; there is absolutely no excuse for forcing people to squeeze in next to each other like tube passengers to eat their dinner. It's awkward, uncomfortable and completely counterproductive to the most basic levels of hospitality. If two strangers' elbows are clashing while they tuck into their starters your tables are too close together, simple as that. With that in mind, Madame D's couldn't have got off to a worse start. Initial delight that they were able to fit the two of us in on a busy Wednesday night turned to despair after we saw where we'd be sitting - in the middle of a desperately overcrowded row of tables so close together that someone deciding they needed the toilet necessitated the whole table being pushed out into the middle of the room. 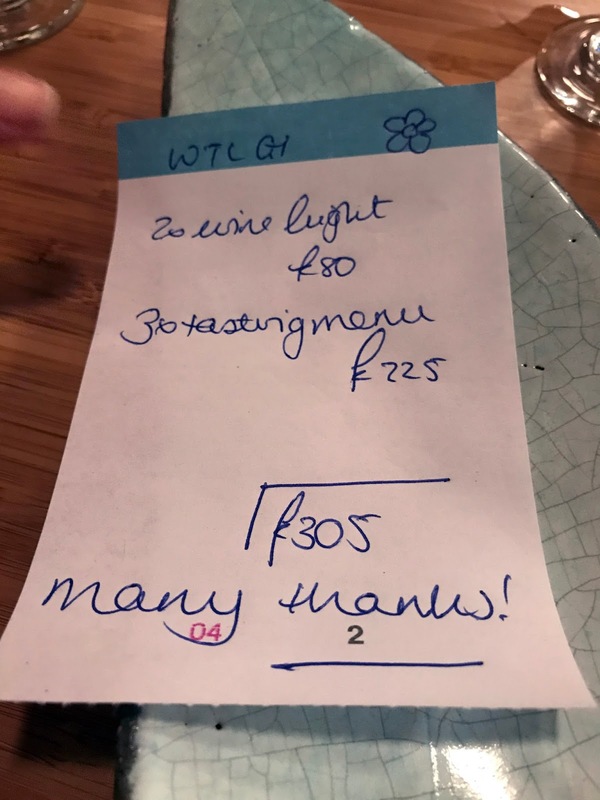 I'm sure the extra £50 from a two-header made all the difference to that evening's profits, but is it really worth winding your guests up so much to achieve it? Anyway, rant over - for now. I mention this only because the food at Madame D's is so good that it deserves a nicer environment in which to enjoy it. A much nicer environment. Naga chilli beef puffs weren't anywhere near as hot as the involvement of the fearsome naga would suggest, just full of meaty beefy flavour and surrounded by nice soft pastry. Prawn crackers - presented in what I hope is an ironic plastic bag and not just picked up from the local cash'n'carry - came with an interesting Newari-pickle coleslaw (not as good as the Darjeeling Express Newari pickle, but not bad) and a genuinely lovely szechuan pepper sauce studded with pickled prawns, which impressed with a complex set of flavours and a good hit of chilli offset with cooling tomato. I'm not entirely sure why this snack, more often than not offered for free in Thai restaurants, cost £8.50, though. Maybe they were very expensive prawns. Hakka chilli paneer was another rich and satisfying set of flavours and textures, fresh vegetables and fearsomely hot chillies, studded with bouncy, salty cubes of cheese. It's abundently clear that the guys behind Madame D's (just as they proved at Gunpowder) are experts in constructing and presenting lively, characterful small plates Indian cooking. It's just a shame it has to be enjoyed while attempting to tune out the conversations of three different sets of diners within easy earshot. The one large dish we ordered was this masala lamb noodles, served in a tiffin tin, and topped with a fried egg. Sort of an Indian-spiced spaghetti Bolognese (I'm sure they'll hate me saying), it was, like all the food that had come before, confident and inventive, rather unlike anything I'd seen before in London (other than the odd set of flavours at Darjeeling Express), and endearingly quirky. Unfortunately despite the food - and the supremely attentive service, it has to be said - being so good, all everything else about Madame D's made us want to do was to wolf it all down as quickly as possible and get the hell out of there. Still, at quieter times, and perhaps if you managed to snag a table whose proximity to fellow diners was somewhat less than intimate, there's the potential for a really bloody lovely time to be had. So perhaps it's best, for the sake of my blood pressure, I just focus on the positives. Like those naga beef puffs, or the hakka chilli paneer. Lovely, calming, quiet, hakka chilli paneer. Let's not start this post with a paragraph about how unlikely it is that any modern British independent restaurant, never mind one as stunningly realised as Where The Light Gets In, should have surfaced in Stockport. If the past few years have taught us anything, it's that good food can happen anywhere, from the Faroe islands to Folkstone, from Southend to Land's End, and feigning aloof "surprise" when somewhere in Not London somehow gets their act together enough to run a decent restaurant is not only patronising but completely unmerited by virtue of the facts. Most of the best meals I've eaten over the last twelve months have been in Yorkshire, Lancashire and Cornwall; the British food renaissance has reached all parts of the UK, not just the bits with access to the tube. Indeed, it's not only unremarkable that Where The Light Gets In should set up shop in Stockport but, once you settle into the dining room perched above the magnificent red-brick industrial landscape of this northern town, it feels almost inevitable that someone would want to run a restaurant here. It's the perfect eating space - bright, airy and spacious thanks to soaring high ceilings and well-spaced tables, and with views over the warehouse rooftops towards the Robinsons brewery. The kitchens are just an extension of the dining space, with gleaming stainless steel stations manned by serene, youthful chefs (including owner Sam Buckley), and service managed by elfin Emma Underwood, formerly of Burnt Truffle in Heswall. The whole operation hums with joy and energy. You're ready to have the time of your life before you even take your first bite. It helps, then, that the food is a parade of colour, flavour and invention that more than lives up to the promise of the surroundings. Even the nibbles that come with your first drink display a determination to impress - home made potato chips, greaseless and warm, are presented with an assortment of flavoured powders with interesting names like 'Lava' and 'Cod sack'. Cod sack, by the way, is literally that - the membrane that surrounds cod's roe, dried and powdered, and packing an incredibly intense punch of seafood flavour. WTLGI are determined, as far as possible, to be a "waste free" restaurant - vegetables are used in their entirety, and elements from the same animal crop up in various forms in different courses. It's a philosophy that a cynic may say benefits their bottom line just as much as it helps the survival of the planet, but is nevertheless very impressive. First of the twelve or so elements of the tasting menu (there's no choice, and they've only recently started doing a pescatarian option) is a crab "taco" made with cabbage leaves. It's a good idea, but one that works or otherwise based on the quality of the main ingredient, and fortunately the crab here - stunning quality, with chunks of rich white meat seasoned with some kind of clever dried herb - was something approaching perfect. In fact, I can't remember when I've eaten better crab anywhere. Next, a radish - a giant, bright red spherical radish looking like Rudolph the Reindeer's nose, in a bed of cod's roe. The radish itself was plump and gently peppery, with a great crunch, and had clearly had been plucked out of the ground only in the very recent past. But the cod's roe was extraordinary - silky smooth and spiked with I think what they said was "rhubarb vinegar", which provided a delicate, sweet, floral note. All the infusions and vinegars used at WTLGI can be seen on shelves at the back of the kitchen area, quietly fermenting away, a rainbow of kilner jars. Kolhrabi ate as good as it looked, and as you can see, it looked very good indeed. Five neat balls of kohlrabi, each gently pickled I think, sat in a clear consommé of what we were told was "apple and whey", and topped with wisps of fennel. Despite being an entirely vegan dish (as far as I can tell)* [see edit], it was richly flavoured and deeply rewarding, a perfect balancing act of sweet/pickle/vegetal that I never wanted to end. At the risk of sounding like a bit of a pleb, I do usually prefer my langoustines to be cooked. There's something about the gelatinous, spongy texture of raw langoustine (and prawn, for that matter, and don't get me started on scallops) that I find slightly offputting, and even Simon Rogan, via a dish at Fera a couple of years back, couldn't convince me they're better raw than otherwise. That said, if WTLGI are determined to serve raw langoustine, and that's entirely their prerogative, you can probably do so no better than like this, pressed into a ceviche-style flat disc and scattered with powdered rose, plum and lavender. It also probably helps that the langoustine itself was extremely good quality, sweet and fresh. I think it was about this time the bread arrived, and it turns out that, not content with being annoyingly brilliant at everything else, someone in the WTLGI kitchen is some kind of baker genius as well. Because they've managed to make a loaf with a perfect moist, bouncy crumb and a delicate, dark crust like the finest French pastry. I'm well aware I've already exceeded my quota of superlatives in this post but just like the crab taco, and the radish and the kohlrabi and everything else, I doubt the sourdough could be improved upon at all - it was a supreme version of its kind. These mussels, vibrantly coloured and so much more intensely flavoured than your average bivalve, were apparently hand-picked in Cornwall. Which makes sense, as most of the country's best ingredients come from down that way. They came in a fermented peach, horserading and hawthorn flower broth which had that same umami richness of the kohlrabi but with an added note of countryside hedgerows. Joyful. While it's true to say that I and lovage don't always get on (they had a particular fondness for it at Noma I seem to recall; it even found its way into the desserts), here the trademark metallic tang was tempered by a judicious use of foraged wild herbs (thyme and marjoram) - and the "no waste" philosophy meant all of the plant was used, from the leaves and flowers to the thicker stalks which had a bit of a celery crunch. Presumably another vegan dish, this was every bit as satisfying and richly textured as the kohlrabi - you felt healthier with every mouthful. But while their way with vegetables is deeply impressive, WTLGI know what they're doing with a bit of pig, too. Homemade charcuterie - cured belly I think - was salty and soft with a good hit of pork flavour. And a separate cup of pork broth was bewilderingly intense - an almost overwhelmingly farmy aroma but with a smooth, rich taste of excellent pork. I don't know whether it was just that I was enjoying myself so much but all of the ingredients at WTLGI, everything from the foraged vegetables to the meat and seafood, seemed just that bit more vibrant and intensely flavoured than anything else I'd ever eaten of that kind. It was a masterclass in sourcing. And so it was with the pigeon, which somehow conspired to be more powerfully "pigeon-y" than any other of the same species I can remember eating in the past. Neatly separated into claw and breast fillets, it tasted of summer flowers and wild meadows, and of a healthy, happy life - until recently, at any rate. I knawed at that leg bone until it was completely clean. Desserts began with a dish made from dried, candied peach skins and a cream made with peach stone kernels. Clever, wasteless stuff but crucially it also tasted great - these were, needless to say, excellent peaches. The rest of the peach turned up in the next course, simply presented with some good, chunky frozen yoghurt. In the bottom of the bowl was a lovely peach "soup" of some kind, clear and clean tasting with a gentle sweetness. And I know I keep mentioning the waste-less thing, but I'm sure that the success of WTLGI is literally because of their attitude to making the most of every ingredient, not despite it. While the same raw ingredients crop up in various dishes (apple in the crab taco and the kohlrabi, peach in the mussels and desserts), nothing feels repetitive or samey; their myriad of techniques and skills ensures that every dish dazzles in a different way to the last. It really is marvellously exciting stuff. But, sadly, so sadly, we were nearly done. Fermented berry and buttermilk tart was a pretty little thing, a delicate base containing a layer of soft buttermilk cream and topped with gently fizzy berries. It was a final hurrah from a pastry section proving they could turn their hand to classical patisserie techniques when required. Petits fours were miniature treacle tarts - warm, comforting - and clever little sugar losenges that exploded into a hit of Buckfast (of all things) in the mouth. When a restaurant you have little hope for turns out to be good, there's a tendency to exaggerate the positives and gloss over the negatives. I've been guilty of this in the past on this blog, perhaps being kind to anywhere I was expecting to not be great and that turned out to not be dreadful. That's human nature, I suppose. But when a restaurant you expect to be brilliant, thanks to the pedigree of the people involved, turns out to be even better than that, well, clearly something very special is going on. Where The Light Gets In is, using any conceivable measure, a triumph - a perfect marriage of meticulous sourcing, stunning technique and glittering service that holds you rapt from the moment you step into that gallery-like dining room and for many days after you leave. The waste-less philosophy, which could so easily be a gimmick, or a muzzle on a creative kitchen team, is in fact the ideal way to make the very most of the very best ingredients, and - thrillingly - a guarantee that hardly any two meals will ever be the same. The idea that this relatively new restaurant can only grow and improve from here is exhilarating; just imagine where they'll be years from now. So I won't waste any more of your time writing about it when you could be up in that lovely room in Stockport enjoying it. Already a towering achievement, its reputation will only grow from here; if you have the means, you should do everything in your power to get yourself a table. Whatever the weather in this notoriously inclement part of the country, the future is bright, and the sun will always be shining, for Where The Light Gets In. EDIT: As has been pointed out, whey isn't vegan. My mistake. I'm not really sure how to go about reviewing a food court, or even if it's possible. Technically a collection of restaurants all using the same dining space, and sharing little else in common with each other than branded plastic bowls and plates, recommending (or otherwise) Bang Bang Oriental Food Hall is potentially no more useful than recommending "Soho" as an area based on the strength of meals at Hoppers and Kiln. Yes, if you go to Hoppers or Kiln, you'll have a great time. But what if you end up at the Breakfast Club? Nightmare. So, this post comes with a disclaimer - I loved Bang Bang, but perhaps I was lucky with the stalls I ate at, and maybe not all are up to the same standards I enjoyed at the conclusion of a 21-stop(!) trip up the Northern Line to Colindale on Sunday. There's a part of me suspects very strongly though that I wasn't just lucky, and that picking your way through the myriad of options in this aircraft hanger-sized food court is one of the most enjoyable ways of spending your weekend it's possible to have. First up, fried pork dumplings from Xi Home. 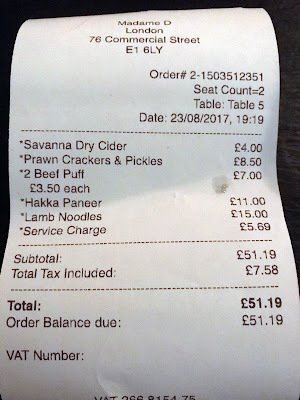 The minimum order is £9.80 for 12 of the things, which seems like a lot until you start eating them and then realise it's nowhere near enough. Each had a good amount of pork mince and enough stock to occasionally fire a boiling hot squirt of liquid across the room when you bit into them, which was as hilarious as it was tasty. Uncle Chilli specialise in Sichuan cuisine, which if you're not aware largely means two things - lots of heat, and lots of offal. 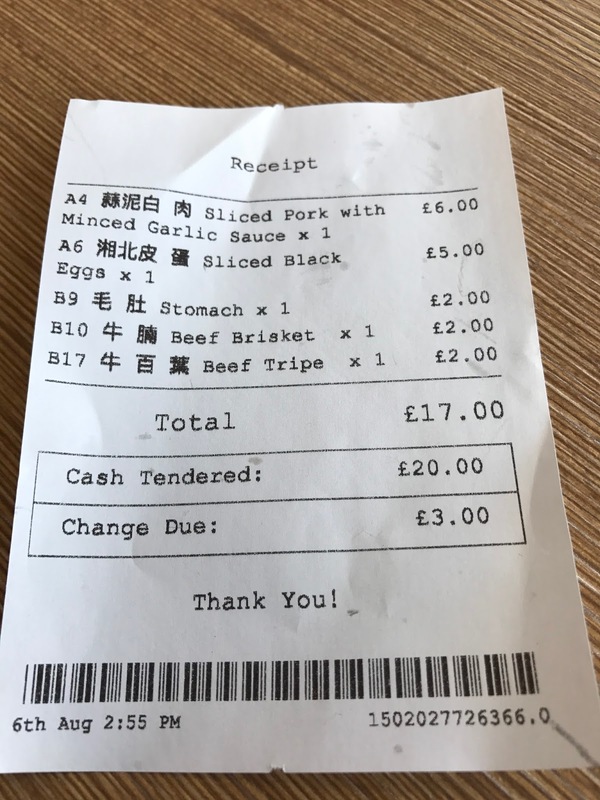 The menu listed 'skewers' at £2 each, but instead of being presented with things on sticks like I was expecting, the slices of beef trip, pig stomach and beef brisket were served in a big bowl of soup, blazing with Sichuan peppers. The trickier bits of a pig - particularly anything involving intestines - will never have universal adoration, but this stuff is my own personal regional Chinese heaven. Also from Uncle Chilli was a bowl of Century Eggs, hen's eggs treated to a mysterious process I think involving salt and ash which makes the yolk go dark green and the white turn transluscent amber. Doused in soy and garlic, they're a classic Sichuanese/Hunanese snack, and well worth ordering if you ever see them on a menu. Soft, salty slices of belly pork, soaked in oil and soy sauce and topped with minced garlic, were similarly addictive. Many of the concessions at Bang Bang are offshoots of larger restaurants - One 68, for example, is run by Royal China - and if that's true of Uncle Chilli I really want to visit the mothership. Because these people are good. ...and silky cheung fun, bulging with big fat prawns and worth every bit of the £4 or so they cost. Just as in Chinatown itself, it's impossible to not be tempted by the glistening, golden brown roast ducks hanging in the Four Seasons stall, and it's a pleasure to report they ate as good as they looked here at Bang Bang, with a nicely seasoned breast meat skin,and without a hint of dryness. Next to it on a bed of rice is pork belly, with a delicate crisp skin and expertly rendered, moist flesh. And we weren't quite done yet. Pastries from Wonder Bake included somethings called 'Lava cheese tarts', an interesting cross between savoury and sweet that had a hot, molten filling. Oh, and the Pandan Egg tarts weren't bad, either. So yes, maybe we were lucky. Maybe the ramen from Samurai Ryu isn't brilliant, or the Pad Thai from Little Thai Silk isn't worth the money. These are possibilities. But it makes sense that if the same people that curated the inclusion of Royal China, Four Seasons, Uncle Chilli and Wonder Bake also had the same standards set for their fellow stallholders then chances are it's all bloody good. In fact, the only reason Bang Bang may not be for everyone is that eating all this fantastic food does involve a rather fraught ordering process (order, pay, take wireless buzzer and then try and remember which of the 30 stalls it came from when it starts buzzing) and seating, especially during the hours we were there, is quite hard to come by - expect a gaggle of people to gather nearby whenever it looks like you're gathering your coat to leave. But these are normal food court things, and hardly a reason not to visit. Even the journey, way up to the top of the furthest above-ground reaches of the Northern Line, seemed like a very small price to pay as we rolled home, happy and full, to our south of the river homes. Every Londoner should be happy that Bang Bang exists, but residents within reasonable distance should be absolutely over the moon, and planning their next visit as soon as possible. Indeed, new stalls are still opening, so it's only going to get busier - and better - from here. Happy eating. Amidst the chaos of ordering I only managed to take a photo of one of the bills - from Uncle Chilli. Other prices are as above. The last few months saw the opening of two brand-new chicken concepts in London. 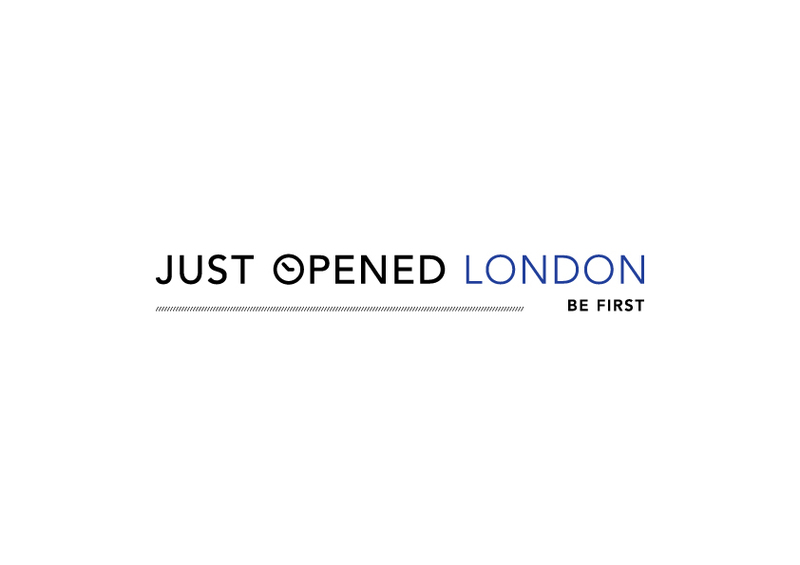 To be honest, there have probably been a whole load of other new chicken concepts open in London, but I didn't get press releases about any others so they don't matter. One - Chik'n in Baker St - is from the guys behind Chick'n'Sours and is, predictably, brilliant; high quality chicken matched with a variety of interesting Asian-Fusion sauces and sides, and all for barely more than you'd spend at your local Chicken Cottage. It's great, and you should go. The other is Wing Wing. And it's not terrible, or even particularly expensive, it's just not what I was hoping it would be. For a start, they call themselves Korean. And what do you think of when someone mentions Korean Fried Chicken? For me, it's piping hot wings in a medium-crunchy batter, doused in a bright red sweet/sour sauce and coated in sesame seeds. "Dakgangjeong" I believe they're called and I've found no better example recently than these, which were a special collaboration between Gizzi Erskine and Tonkotsu a couple of months back. It's hardly Wing Wing's fault that I'm projecting my own expectations of what Korean food should be on people that - let's face it - are perfectly entitled to decide that for themselves, but shouldn't that style at least be an option on what is quite a large menu? 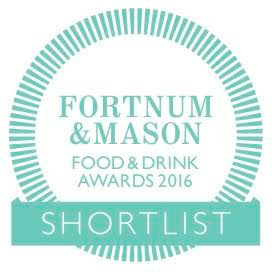 There's room for katsu bao, chicken burgers, wraps, fish & chips(? ), rice boxes, salad boxes and god knows how many desserts but the main event itself - the chicken - comes either as wings or drumsticks (no thighs or breast or option to have whole half or quarter pieces) and brushed with three "glazes" that are so lightly applied that they all just end up tasting identical. On my first visit I tried six "hot" wings, which were certainly hot in terms of temperature but barely registered at all on the Scoville scale. The chicken itself was strong and healthy-looking, with good firm flesh and nice big bones. And I suppose there interest in the skin, which was delicate and gave with a nice crunch. But it just didn't taste of anything; not spices, salt, even MSG would have been something - it was as if some crucial part of the cooking process (ie. a nice sweet/sour sauce) had been missed out. Drumsticks suffered from all the same issues as the wings, and despite choosing the "soy garlic" glaze had the same dry coating and tasted completely indistinguishable. They weren't bad, just boring, and animal welfare issues aside if I had the choice again I'd stick with Chicken Cottage. 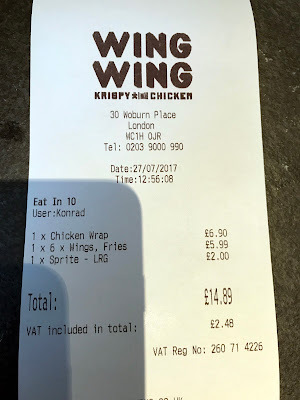 In fact, I don't know how Wing Wing treat their chickens as their website doesn't say, but they do seem a little more robust than your average high st place so I'll give them the benefit of the doubt on that. Other menu items fared little better. A chicken wrap was probably the best of the things we tried, containing plenty of chicken and an interesting kimchi-spiked (I think) coleslaw. But katsu bao was very weird, the bun tasting more like deep-fried brioche than the usual steamed style and the chicken suffering from the same lack of seasoning and excitement that affected the wings and drumsticks. Kimchi coleslaw on top was nice though. So, little to love but little to hate either. For a place that on the face of it at least appears to be trying to stand out from the crowd, with its bold interior design and alcohol license, the only thing remarkable about Wing Wing is in the end how unremarkable it is - it's just another fast food place amidst the tourist tat of Euston, easily ignored. Which is a shame, really, considering what could have been if they'd just done some proper Korean fried chicken. And maybe they will, one day. Until then, I'm stik'n with Chik'n.